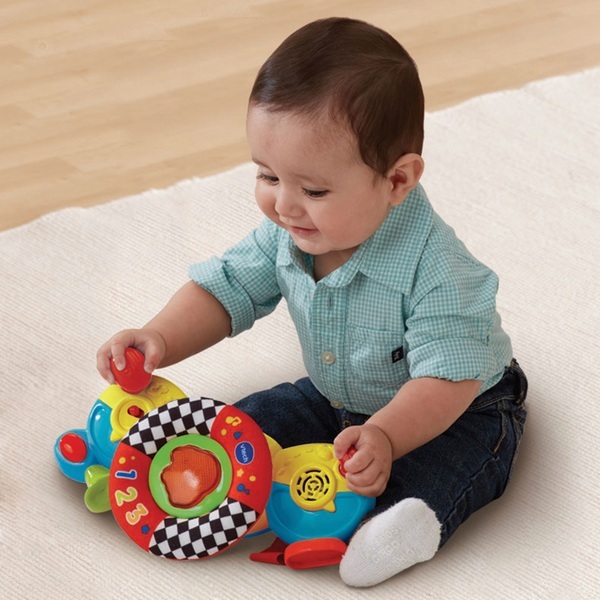 Vtech Toot-Toot Drivers Pushchair Driver is a brightly coloured role- play driver toy. It has a spinning, soft touch steering wheel, 2 stage indicator, ignition and gear stick, all triggering realistic sounds and fun phrases. Chunky light up car button plays lots of interactive car sounds. Also includes wing mirror and beep-beep horn button. Attach to a pushchair using the secure straps.